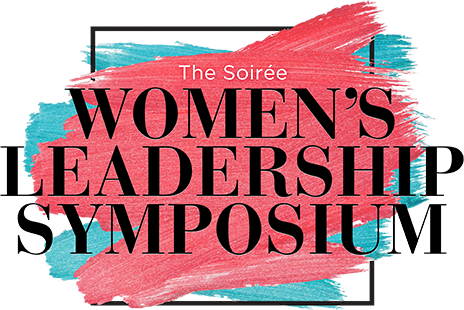 Experience an opportunity to be in the room with multiple female C-Level executives who will share how they made it to the top, work/life balance, giving and receiving feedback and more. Kristi Dannelley of Magna IV, Marcy Doderer of Arkansas Children’s Hospital and Karen Minkel of the Walton Family Foundation will share the challenges they’ve overcome and their key strategies for success. A panel of legal experts will highlight what your company should be discussing now. From evaluating gender equity in your organization, how to effectively incorporate diversity and inclusion in hiring practices, and examples of illegal interview questions to avoid in interviews. They will also address issues from an employee standpoint - such as matters on which you can advocate for yourself and others. Whether someone can, or should, ask you what you currently make or used to makAre your plans to have a family and how much time you plan to take off matters of open discussion? The list goes on. This session will be good for inform business owners and employees alike. No one will advocate for you more than you can for yourself. This session will discuss how to give and receive feedback, ask for a raise or promotion and how to walk into a room and get your point across in the most effective manner. Explore ways to work through conflict, introductions, explaining gaps in resumes, how your online profile impacts the perception people have of you and more. Connect with successful entrepreneurs and others interested in starting a business to learn how they did it and their tips for making your dreams of owning a company a reality. Looking to be a more financially savvy business person? Wondering what lending pitfalls to avoid? Attend this business financial literacy session to accelerate your business success. Lending experts will reveal and demystify what they are looking for so that you’ll be prepared to approach a bank for a loan. Also, learn the basics such as how to create a budget, read a profit and loss statement and become familiar with the financial terms that you will need to manage a division, lead a team or run your own business. This session is good for middle to upper management as well as future and current entrepreneurs. Ever wonder what you would need to do to run for office? Never want to run for office, but wish you knew more about how to effectively impact a campaign? Looking to have your voice heard regarding pending legislation? Two political experts will answer all of your questions and more during this session focused on demystifying the political process and encouraging women to be involved in local, state and national policy-making. Sarah Catherine Gutierrez will give a session on financial management for female leaders and executives. When women are pursuing businesses and leadership roles, while balancing family demands, finances tend to be placed on the back burner. Participants will be given the tools to pursue a simple “pay yourself first” system, including pay your future self in retirement, pay for future expenses, pay your bills, then spend the rest. Important elements of tax efficient saving and investing strategies will also be covered.